The inauguration of Sudan as the 39th Province of the Anglican Communion marks a "new beginning" for the Christian community in the country, the Archbishop of Canterbury Justin Welby has said. "Like all new births it comes with responsibility within Sudan for Christians to make it work, and from outside to support, to pray, to love this new Province," he said, The Church Times reported. Welby was speaking at the service of inauguration in All Saints' Cathedral, Khartoum, on July 30, at which he installed the new Primate of Sudan, Ezekiel Kumir Kondo, Bishop of Khartoum. He prayed for wisdom and the abolition of fear. Sudan is predominantly Muslim but has around one million Christians. Welby spoke of seeing Christians and Muslims "co-existing powerfully and effectively" when he had visited the southern diocese of Kadugli on July 29. Such tolerant co-existence needs freedom, he said, the Anglican Communion News Service reported. "My prayer for Sudan is that there will be freedom continually so that Christians may live confidently, blessing their country. The more they are free, the more they will be a blessing to Sudan, he said." The archbishop praised the Khartoum government for welcoming refugees from the conflict in South Sudan and thanked it for sending representatives to the service. "No government anywhere in the world need fear Christians," he told them. Later Welby urged the protection of Christians and peaceful co-existence between the Christians and majority Muslims in Sudan, Xinhua news agency reported. The archbishop made his remarks when Sudanese President Omar al-Bashir received him in Khartoum. "We talked about the protection of Christians and listened carefully to his excellency as he explained the good relations, the co-habitation, even within families between Christians and Muslims," Welby told reporters following his meeting with President al-Bashir. "We spoke about sanctions, and of the British policy which encourages the end of sanctions, and about the burden of debts and the need for development," he noted. The archbishop added that "at the center of everything that we said was our deep concern, our mighty concern for the poor, the weak, the refugees and the helpless; and to encourage every government and every president where they seek the common good and benefit of the weakest in our societies." Sudan's Minister of Guidance and Endowments, Abu Bakr Osman, for his part, told reporters that the meeting reiterated the political leadership's concern with religious co-existence in Sudan. 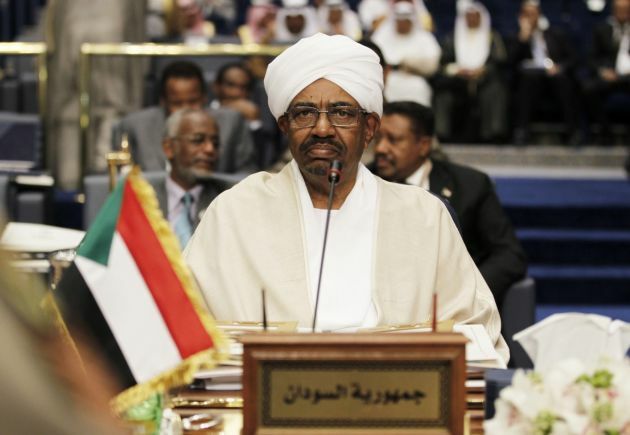 "The meeting stressed the religious co-existence in Sudan and that all the Sudanese citizens are equal in rights and duties and in assuming public posts, regardless of their religious or ethnic affiliations," he noted. Welby arrived in Sudan on July 30, leading a high-level delegation of bishops around the world, to officially inaugurate the Anglican Church in Sudan to be the 39th Anglican church in the world. The Anglican church in Sudan officially declared its separation from its South Sudanese counterpart in May 2017, where after the cessation of South Sudan, Khartoum's Anglican church remained affiliating to the church in the South. Most of the Christians in Sudan are present at the Nuba Mountains in South Kordofan State which has been witnessing an armed conflict between the Sudanese army and fighters of the rebel Sudan People's Liberation Movement (SPLM)/northern sector, Xinhua reported.